If you want to come to South America and have the best week of kayaking of your life, look no further. Don and Darcy are back as owner-operators of Small World Adventures. 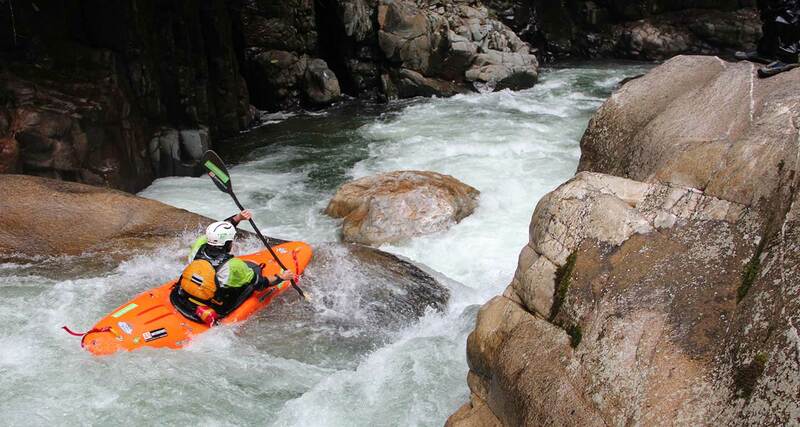 With our team of local and international guides, we’ve guided more kayakers in Ecuador than anyone. 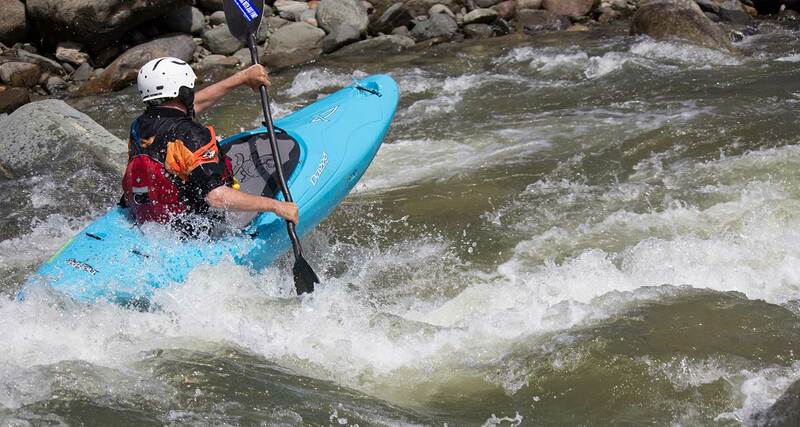 SWA has been guiding whitewater kayaking trips in Ecuador since 1993 and we are honored to carry on the tradition that we started with whitewater kayaking pioneer Larry Vermeeren. 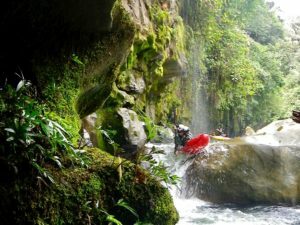 Come let us show you the amazing rivers of Ecuador. Kayak Ecuador with Small World Adventures from Small World Adventures on Vimeo. Are you a serious paddler looking for a seriously awesome kayaking vacation? We get that, and that’s why we work so hard to make sure that you get the most out of your week of kayaking in Ecuador. SWA owners and guides spend four months each winter paddling the tropical rivers of Ecuador, enjoying the warm weather, beautiful rainforest scenery and boofs galore.After so many years of paddling Ecuador’s rivers, we know each run at each water level ridiculously well, which means we ensure you get seven day of the best whitewater that Ecuador has to offer. After all, we wrote The Kayaker’s Guide to Ecuador, so you know you’ll be in good hands. Come join us! Why paddle with Small World Adventures? 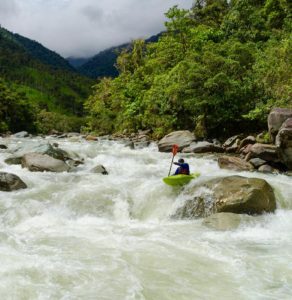 We guarantee that we’ll send you home tired and happy after seven days of paddling Ecuador’s classic big volume Amazonian tributaries, and the steep, technical creeks rushing down the Andes Mountains. So what’s stopping you? Come kayak Ecuador! If you’re lucky, you can also paddle with Larry Vermeeren. SWA founder, guide, badass and ambassador-at-large. SWA is a proud member of 1% for the Planet. As a business, we know our actions impact the world, and we are doing our best to make sure we leave a positive legacy.